New era baseball cap manufacturer, wholesale new era baseball caps China. 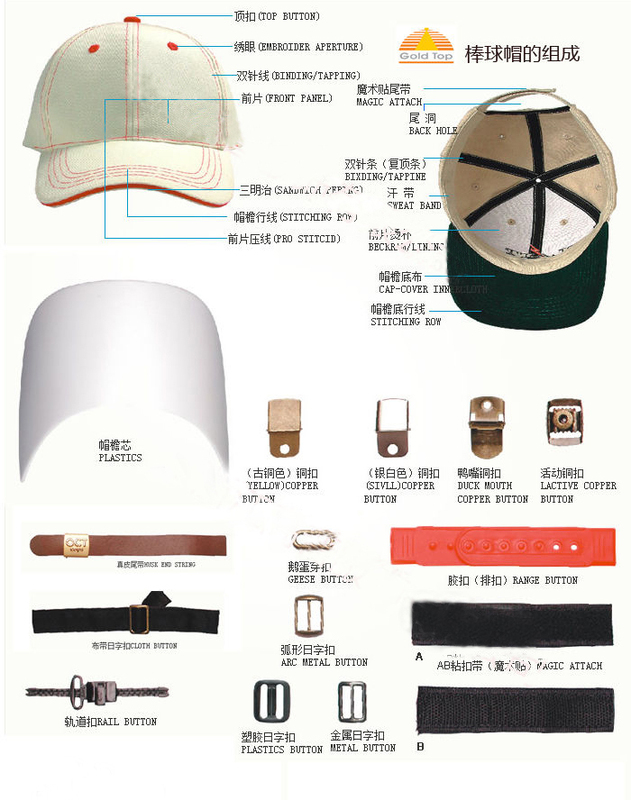 Cap visor: Usually use PE board + guests of the selected two fabric composition, there are generally two kinds of cap visors, one visor is a monochromatic cap, the other is called a sandwich cap visor, monochromatic cap sivor just as its name implies is to only one color cloth cover the PE board cap eyebrow, sanming chung cap is to point to in the side of the cap eyebrow eyebrow there are three kinds of color cloth cap eyebrow of hierarchical car together, this kind of hat eyebrow to make relatively difficult, each type of hat PE board is generally have fixed style of PE board, but also can undertake operation mode according to the special requirements of the guests. Also because of the cap on the eyebrow fabric and PE board, in order to locate, avoid in the process of Using PE board and cloth cap eyebrow, eyebrow in cap of the top four stitches, will the stitches usually we do 4 lines, also it can be increased or decreased according to the guest's request. Note: please pay attention when you choosing PE board , you must choose the PE board closest with fabric color , in order to avoid the sewing line, PE board some stains on the stains with the fabric surface will be very obvious, affect the overall quality. General white hat with a white cloth, for example, PE board, black cloth with black PE board, try to find other color cap close to the fabric color of PE board. Cap body: Some cap factories called it cap crown, generally have 6 pieces of baseball panels, usually in LOGO embroidered or printing in front of the two pieces of panels. but there are 5 panels,4 panels caps as well. The air hole: also called eyelet, is playing in the top of each piece of panel, the air hole is usually divided into corn buckle the air hole and embroidery in the air hole. Top button: location is on the top of the six pieces of panel combination, it play a role, one is the 6 pieces of panel in combination with fixed to loosen, the other is beautiful look. Adjustable belt: also called velcro back snap. the main purpose is to facilitate some head slightly larger or smaller, appropriate adjustments can be used, usually have a button with metal buckle or plastic snap, as well as with the velcro technique, the length is 7 to 8 cm. Sweatband: Anti-perspiration, usually is made of white cotton and a very thin layer of sponge, it is inside the cap crown all around, main effect is to absorb sweat. This sweatband is very important for size of a cap. 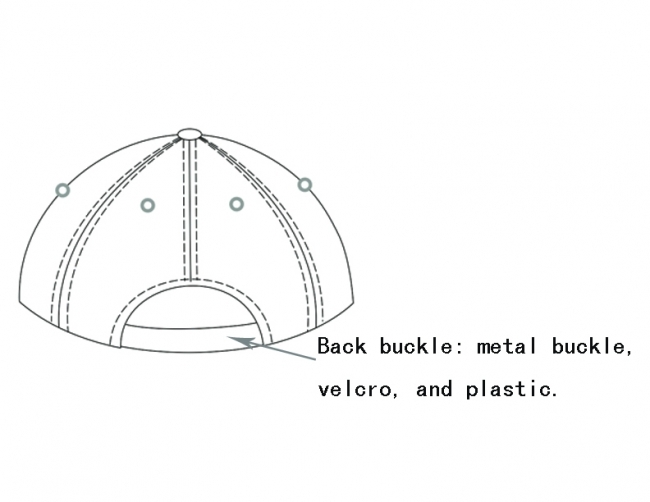 for example, some flexiable cap which used flex fabric like elastine or spandex without back snap back, in this case, the sweatband is also need to use flex fabric to be more elastic to the cap crown to keep this cap adjustable. Sizeband: is used to avoid when the trolley working, each worker sews size greater than small to avoid mistakes. Reinforcement: usually with white melons cloth (this fabric is hard) main role was to make the front of the cap is in the middle of the two pieces of panels not soft ,main effect is to enhance the beauty of the whole cap look and feel.